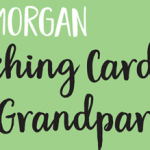 The relationship between grandparents and their grandchildren is a very special one. Parenting styles and practices change all the time but one thing that has remained constant is the importance of talking, listening and playing with children. It’s that time of year… the evenings are lighter, daffodils and tulips are blooming, newborn spring lambs are bouncing. The new season brings signs of new beginnings and what better place to forge new business relationships than The London Book Fair. Now in its 45th year, this Fair covers all aspects of the industry and we look forward to meeting clients and customers, old and new. The Fair returns to Olympia London and runs from 12 to 14 April. Booksellers and Buyers attend the Fair to seek out new contacts, discover new titles and new suppliers. We can show you the range of titles available from our publishers and explain how easily we can supply. If you’d like to discuss any of our services in greater detail, and how we can help you in any way, please don’t hesitate to get in touch. This month we focus on one of Vine House Distribution Limited key services our platinum standard warehousing and distribution.